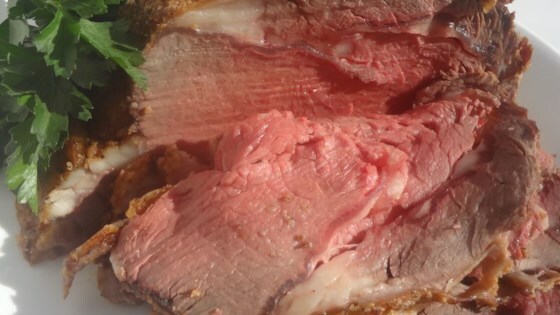 "I was looking for an easy way to make our Christmas Rib Roast. It turned out PERFECT. Rib Roast can be expensive, so this is a total splurge or special occasion dish. Enjoy." When you want to splurge, this rib roast recipe rocks. It DOES matter how large or most importantly how small the roast is when selecting your baking time. I followed recipe EXACTLY and am now staring at a black, overcooked, dry rib roast. Terrible.